What started as a small request to crash on someone’s couch in Iceland is now a B-Corporation with a membership of 11 million users across 240 countries. Fomenting affordable travel and facilitating cultural exchange, Couchsurfing offers a platform that reinvents the realm of travel. Though the app and the company are immensely popular amongst backpackers, little do people know the story of its origin. An analysis of the company’s journey also is an insight of great relevance in terms of its inspiration and strategy adopted by the dynamic company. The genesis of Couchsurfing lies in the vision of a young man aspiring to integrate travel and radical sharing of cultures and experiences. After a few adventures, it was in the year of 1999, the 25-year-old Casey Fenton found a cheap flight to Iceland. Since he did not have a place to stay, the young programmer hacked into University of Iceland’s database and sent over 1500 emails, requesting a place to sleep.To his utmost surprise, he received almost 100 lodging offers in Reykjavik ready to show him around. The weekend spent with the locals left Fenton in awe of the power of cultural exchange and upon his arrival to Boston, the seed of couchsurfing was sown. I believe that life is a string of experiences. 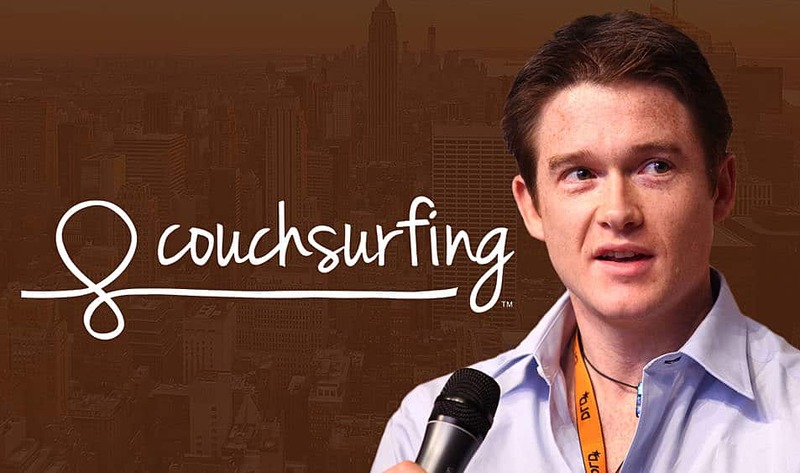 The team was formed with Fenton’s close friend Leonardo Silveira and former colleagues Daniel Hoffer and Sebastian LeTuan, together they launched the website on June 12th, 2004.The day is also celebrated as “International Couchsurfing Day”. The early years of the company were marked with several key challenges in its development processes including software bugs and common website crashes due to unmanageable traffic. The peak of the struggle arrived when all of the company’s database was lost and Casey Fenton had to resort to web calling for assistance. In denial to its 501 (c) (3) application for a Non-Profit domain, the company had to update its entrepreneurial status in 2011 from a nonprofit to a B-Corporation( a for-profit company). Resulting to which, the company could no longer accept donations and accept its revenue missions. The key challenge that came with this was to generate revenue. The issue was tackled with a well-researched analysis and was settled with a round amount of $7.6 million from Benchmark Capital and Omidyar Network. Various funding sources including General Catalyst Partners and Menlo Ventures in addition to the former funding agencies resulted into a fund of $22.6 million. Currently, the main revenue source of the company is its verification system that caters to several safety measures to enhance user experience. The company’s model in close sync with its policies, reminding its users of the needed safety measures and encourages them to update their feedback consistently for better execution. An ambitious venture like Couchsurfing continuously needs ardent efforts in terms of smooth execution and naturally has been in constant turmoil eternally with mismanagement and externally with controversies. However, the company’s vision and its refusal to monetize the venture is an agent of change that holds great potential.